So my baby, he’s not really a baby anymore. He’s turning 4 in two days. Can. Not. Even. Seriously?! How does that happen? 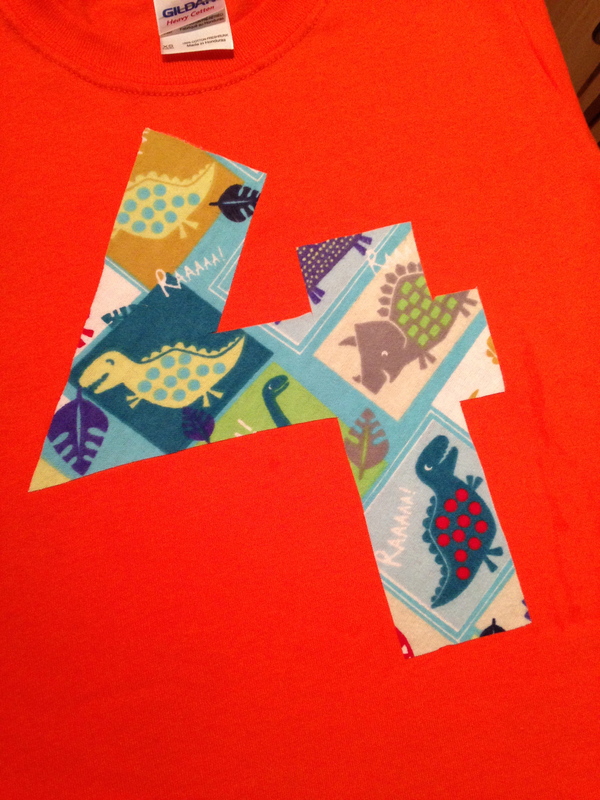 Browsing the aisles of Joann’s the other day, I was happy to find some cute dinosaur fabric to use on my little dude’s birthday shirt, because I was beginning to think I was going to have to get super creative or forget my whole idea completely. 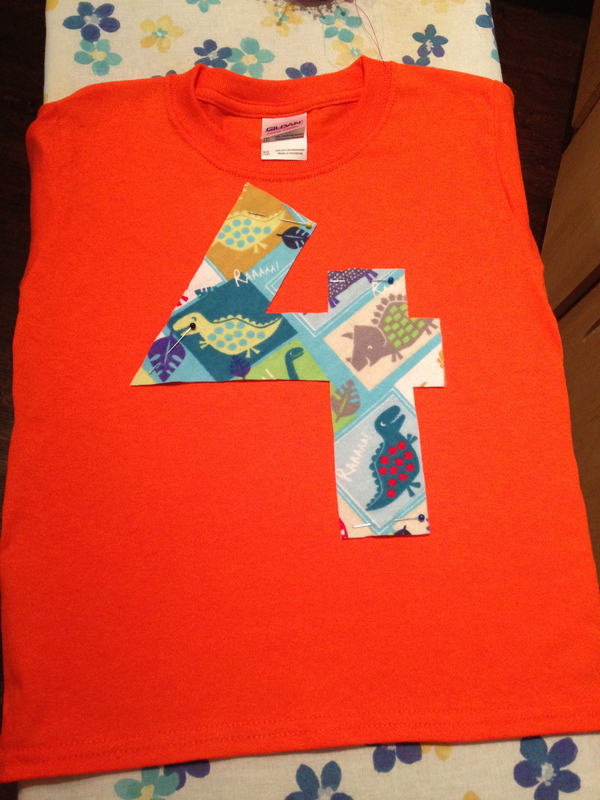 We had a dinosaur-themed jumping party this weekend at a local trampoline park and I was so excited to surprise him with this birthday shirt! It’s very simple, inexpensive and FUN! Aaaaannnnnddd just a teensy bit time-consuming. 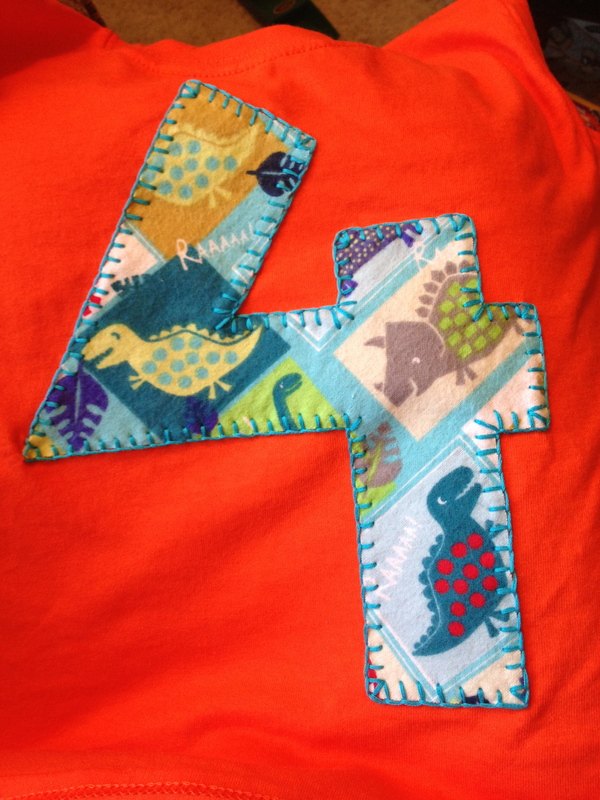 :) So if you don’t have an embroidery machine or you waited til the last minute for a special birthday shirt (like I did), if you have an hour or so, you still have time to make something for your kid on their special day! 1. 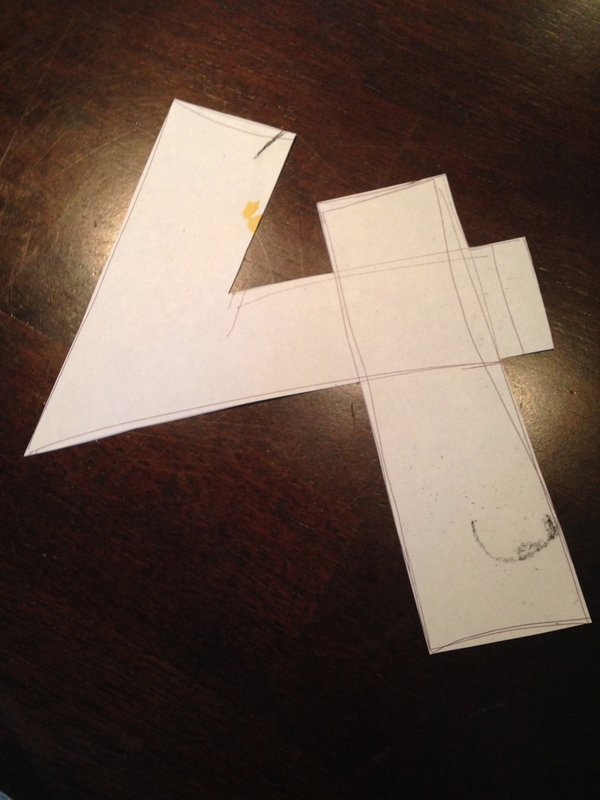 Draw your number, letter, whatever you want for the shirt, onto a piece of paper and cut it out. 2. 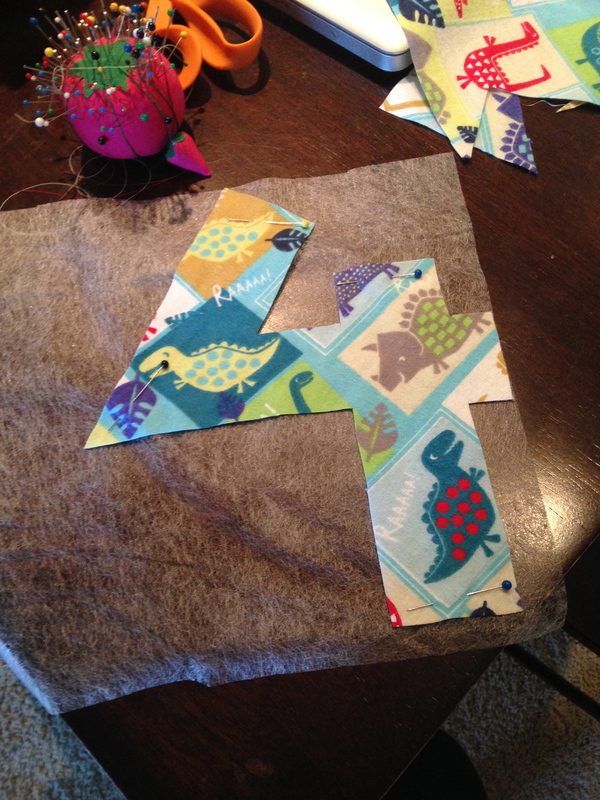 Place paper pattern on top of fabric, right sides up. 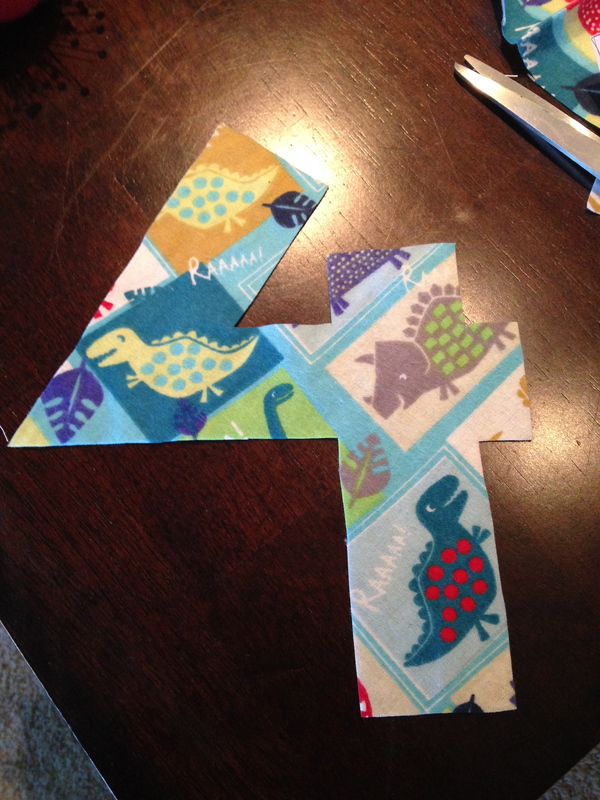 Pin pattern to fabric and cut. 3. Remove paper and pins. 4. 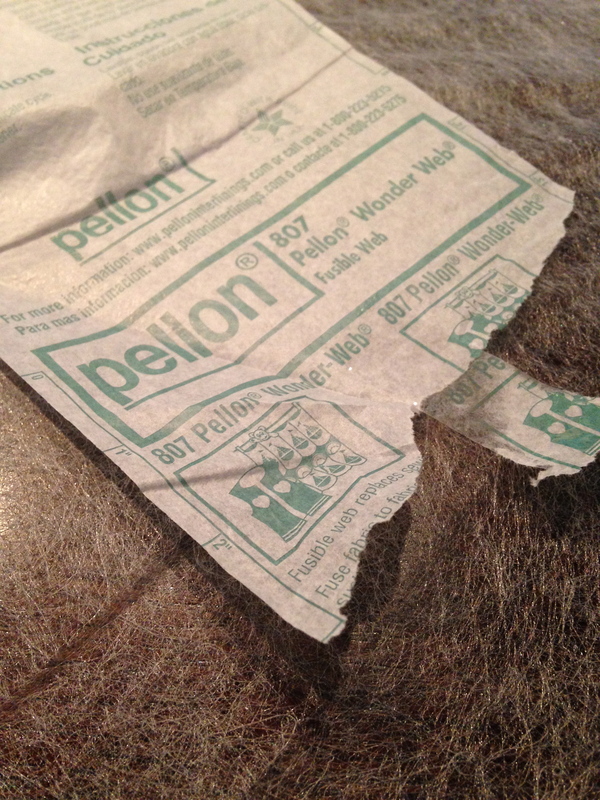 Now take your fusible interfacing/web and place it on your workspace. 5. 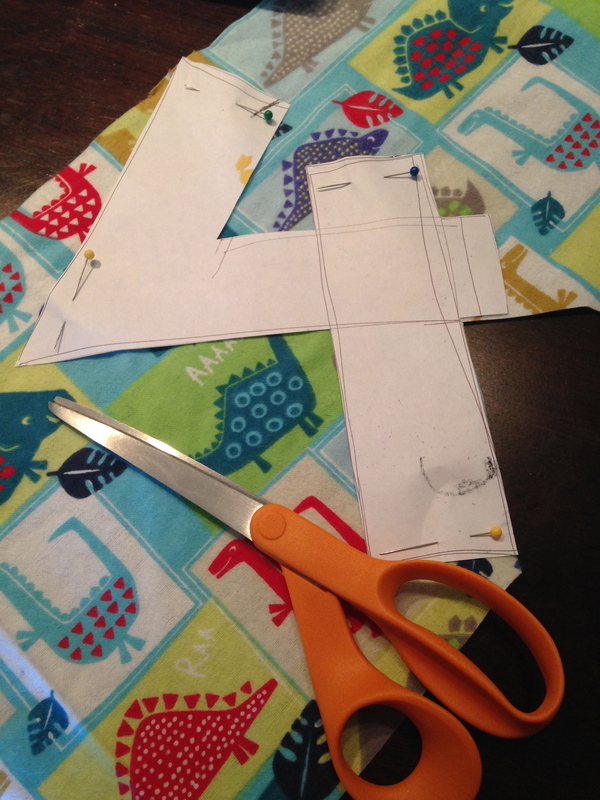 Place your fabric cut out over the interfacing/web and pin, then cut. 6. Leave web and fabric pinned together just a little longer. 7. 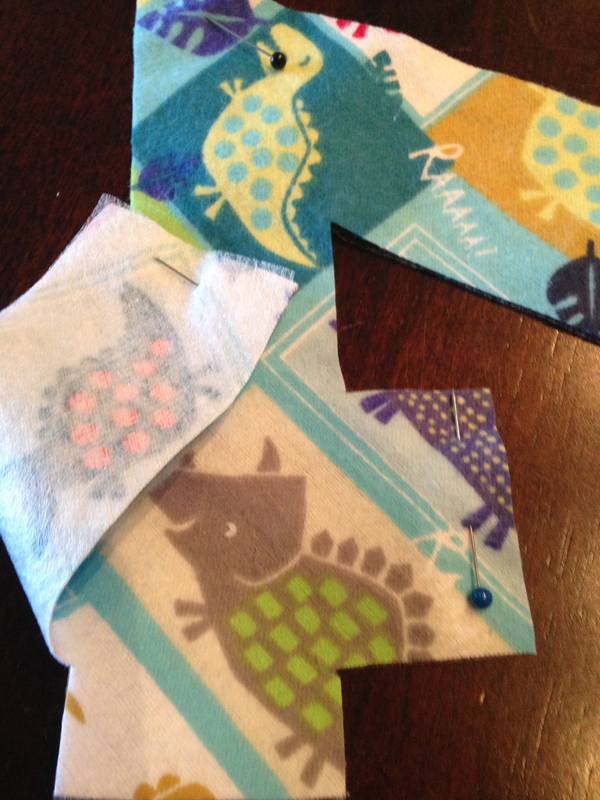 Position your web and fabric (still pinned together at this point) exactly where you want it on the shirt. 8. 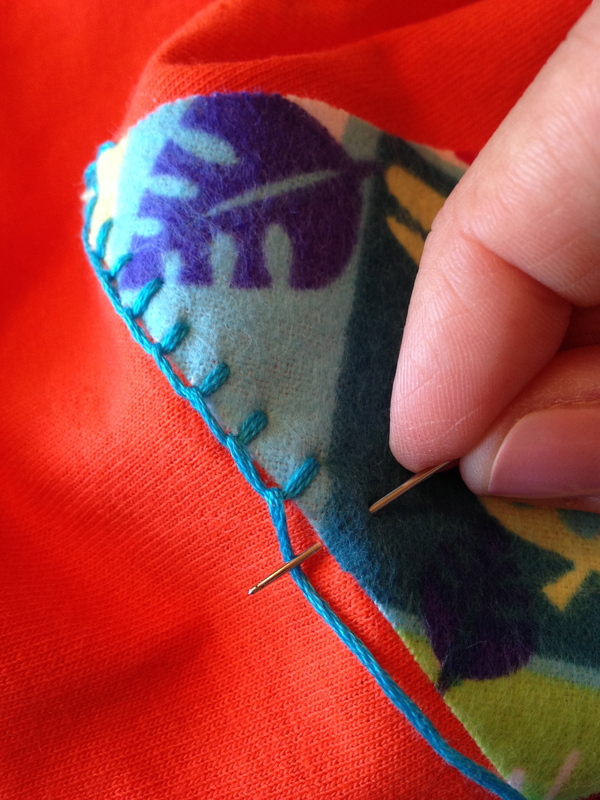 When you have it right where you want it, remove the pins, taking care not to let the fabric slip away from the web. Since my fabric was flannel, it didn’t slip easily at all. Other fabrics might slip more easily. 9. 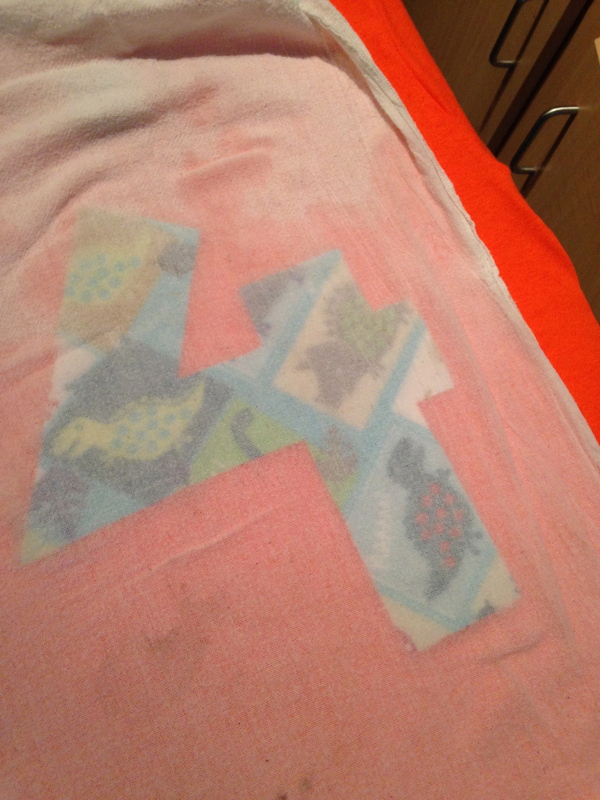 Dampen a thin towel (I used a kitchen tea towel) and carefully place on top of your number or letter. 10. 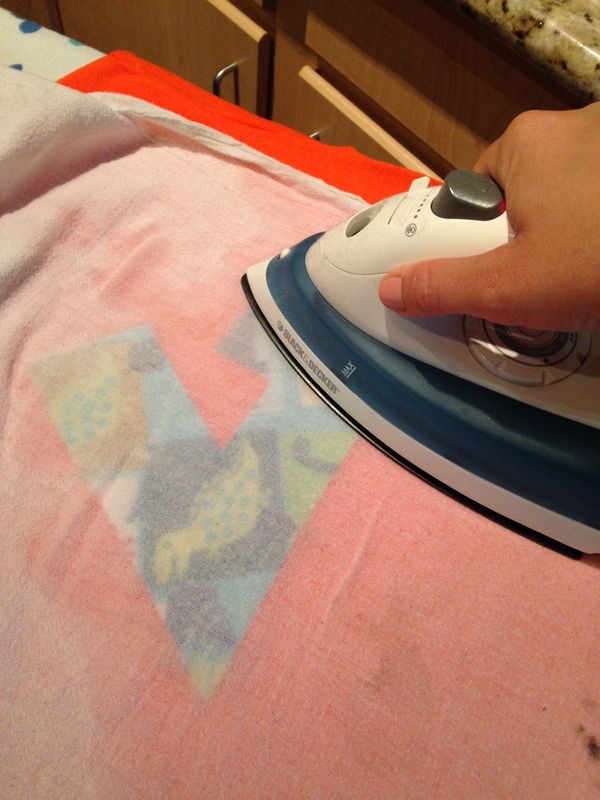 Set the iron on a section of your fabric and leave for 10 seconds. The towel should be almost dry, but not quite. Repeat this until every section has been ironed. Do not slide the iron, just set down and lift up, overlapping sections just a bit so that everything fuses well. 11. Remove towel carefully. 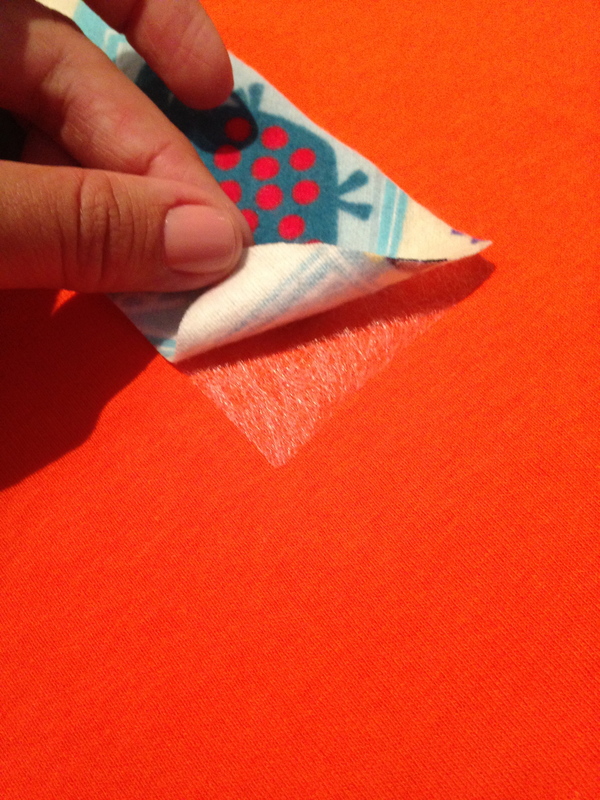 Check edges of fabric to ensure it is well-fused to the shirt. If it’s not, repeat step 10. 12. 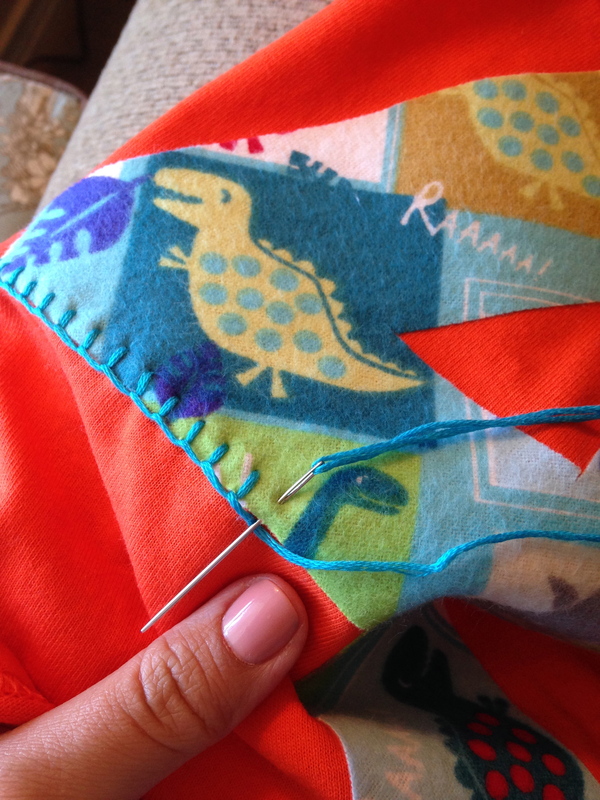 Finish the edges with a decorative stitch. I used a blanket stitch for this shirt. 13. Continue around with your stitches until the shirt is finished. 15. 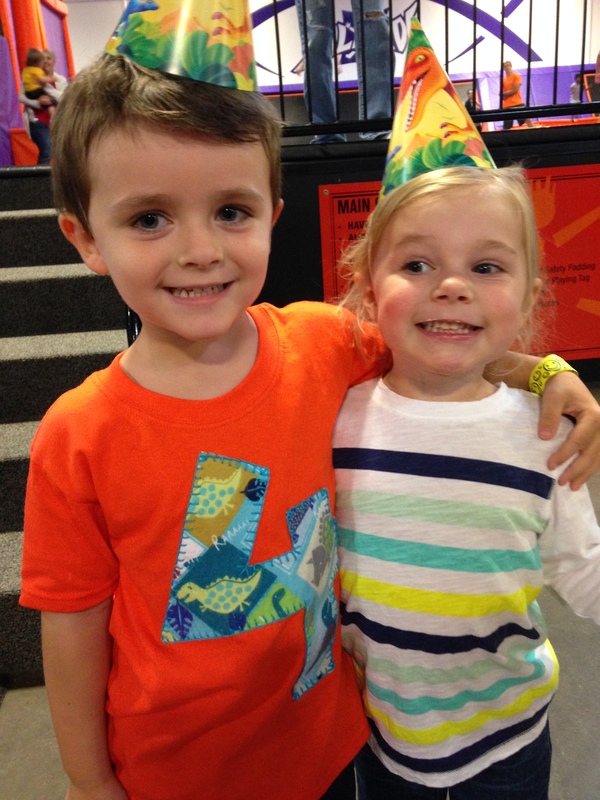 Don’t forget a picture of your birthday kid at their party! Tags: birthday outfit, birthday shirt, diy embroidery, embroidered shirt, embroidery, how to fuse fabric onto a shirt. Bookmark the permalink.